Robin and Liz Williamson are enviable people. Both hail from other parts of the planet, Liz from New Zealand and Robin from the UK, but they’ve planted their home, and wine business, amidst the vineyards of the Midi. 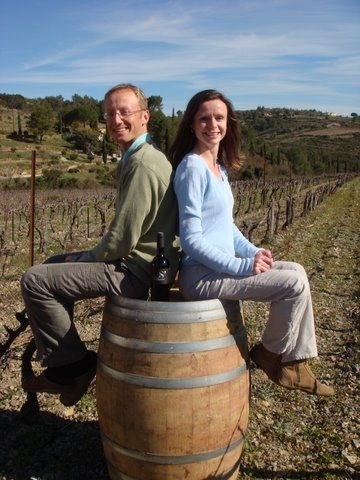 Robin and Liz Williamson, Domaine de Saumarez, Murviel-les-Montpelliers, Languedoc-Roussillon, France. Just outside Murviel-les-Montpelliers, and not too far from St. Georges D’Orques, both villages in the heart of the Languedoc-Roussillon in Sud de France, perches Domaine de Saumarez on a pretty hillside whose sweeping views take in the Mediterranean Sea in the not-too-distant yonder. 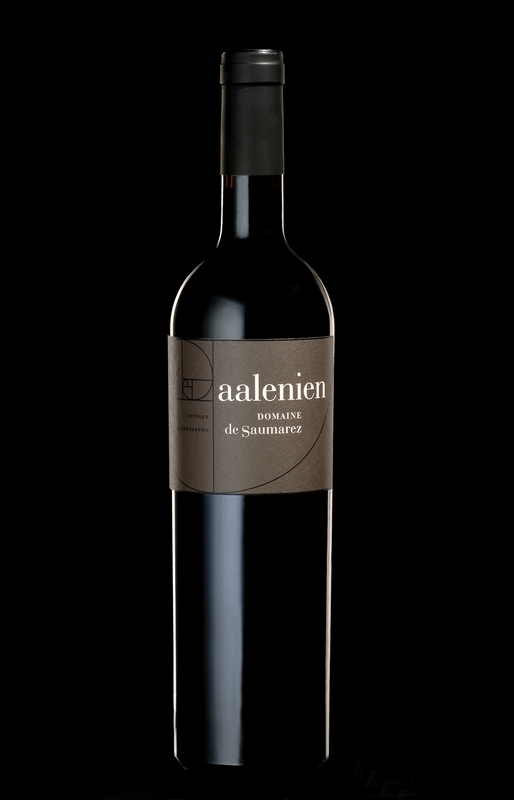 In 2006, the winery’s top cuvee’, their “Aalenien, ’04” earned a full-bodied 92 points from Wine Spectator (Kim Marcus, 2006). “2009 is going to be another spectacular vintage,” says Williamson. Indeed, there’s not a soul in France today who isn’t singing the praises of the 2009 vintage year. As for 2010, “It was a hard winter but the vines seem to be quite happy now,” he says. It was nearly a decade ago when Liz and Robin decided to shuck everything – him his banking career, her, accounting – and pursue their passion of wine. After repeated and extended wine tasting trips throughout the world and France, they settled on looking for a vineyard to call home in the region between the Spanish border and Nimes. This region, the “Midi,” or Languedoc-Roussillon, is the hub of wine making in France. It’s not its most celebrated, but it is its most voluminous. “We looked at 30 domains from the Spanish border all the way to Nimes. This was number 30,” recounts the Williamsons who are raising their two young sons up on the vineyard. “The winery had potential, even though it was a wreck,” reminisces Robin, pointing out that there was no roof on what is now the cellar and tasting room when they bought the estate back in 2003. By 2004 they had produced their first vintage. They sold their first bottles in 2006. “Aalenien,” is not just the name of Domaine de Saumarez’s top cuvee’, it is also the name of the type of soil to be found on the property. The rocky soils are made up of Jurassic limestone that have bands of quartz running through them. This soil, found in about a 10 sq. km radius, is particular to Murviel-les-Montpellier, the 2,500 year old Roman-Gallo village that the Domaine is situated in. At its height, Murviel had 15,000 inhabitants and was one of the main towns on the ancient route traveled between Spain and Italy. The soil makes for minimal weed growth, hence little need for pesticides nor weed killers; it is good with heavy rains because the rocky limestone is very porous yet it retains moisture at about 1 to 2 meters below the soil surface, thus keeping the vines hydrated. The region’s 300 days of sunshine per year and tendency to get high winds dries out the vines. 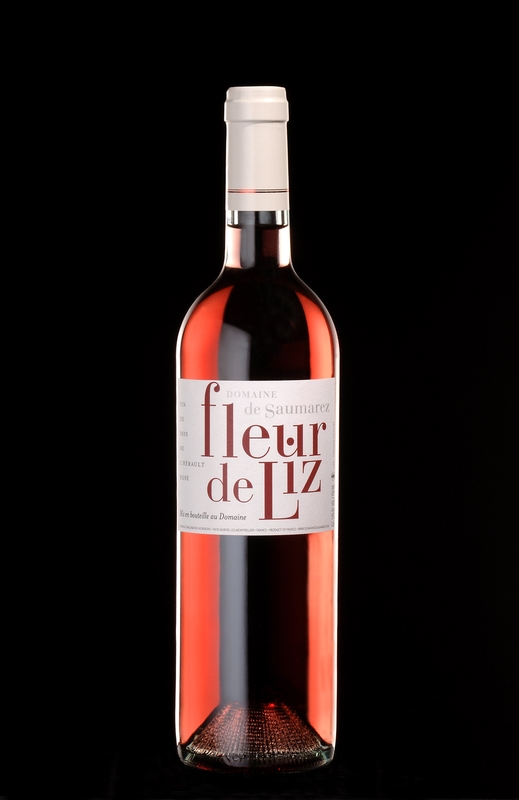 Fleur de Liz, Domaine de Saumarez's rose'. The Languedoc region is also known for having numerous organically farmed vineyards and in fact the region as a whole is becoming specialized in organic. It has some of the highest concentrations of organic agriculture, and viticulture, in all of France. Domaine de Saumarez is no different and will be certified organic by 2012. He characterizes this as an “Old World” approach to winemaking. “In France the vigneron is still more Old World. We do it all. We’re farmers. We’re winemakers. We’re wine sellers.” He concedes that as a grape farmer and winemaker you need to remain philosophical about certain things, like the weather. “You have to always stay on the front foot,” he says, reverting to a cricket-ism. Domaine de Saumarez makes four wines. Their top cuvee’ the Aalenien, a red. Notes of herbs, spices, minerals, olives and flowers. Their Domaine S’ red – supple, ripe, lush with a spicy edge – and their Domaine S’ white, – minerality and class, grapefruit, lemon peel that leads into a creamy width – all Coteaux du Languedoc AOC and a rose’, the Fleur de Liz, also AOC, vins de Pays de l’Herault. As a red wine with the Coteaux du Languedoc AOC classification, it will have some or all of only these varietals: Grenache, Syrah, Mourvedre, Carignan, and Cinsault.